Celebrate Valentine's Day With Me — And Chocolate! Whether you love or hate Valentine’s Day, there’s no denying that it’s a super chocolatey holiday — which makes it top notch in my book. This year I’m writing a series of chocolate stories for Chowhound and hosting about a billion chocolate tastings in NYC. The ones I might be most excited about? Fresh has asked me to help them put on three luxury chocolate tastings at their New York stores: Think champagne to start, followed by a guided tasting of five chocolates in an intimate setting (6-12 people, tops). The best part? IT’S BASICALLY FREE. Fresh is asking people to RSVP and reserve their spot by buying a $25 gift card, which I’m positive you’ll then use at the tasting to buy a mini mask, sugar treatment, or something else delectable. Here’s the info; hope to see you there. It’s going to be delicious! And here are my chocolate stories for Chowhound so far! 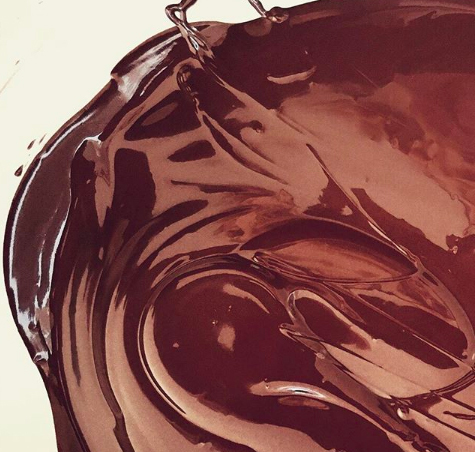 When It Comes to Chocolate, What Does Cocoa Percentage Actually Mean? Sign up with your email address to get more chocolatey stories!